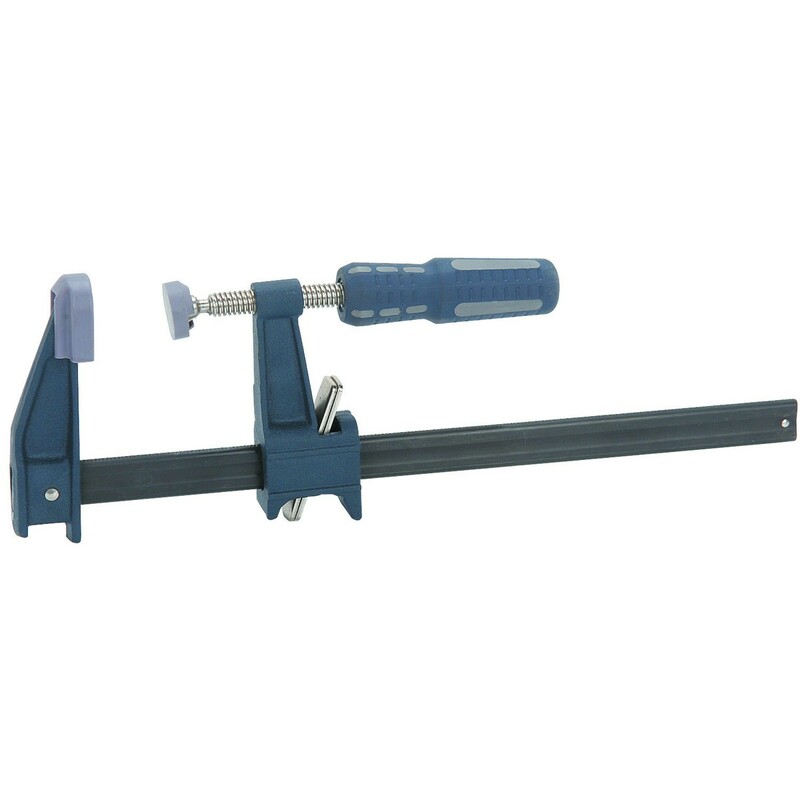 Lightweight and sturdy, this quick release bar clamp secures your workpiece tightly without scratching. The clamp features malleable steel jaws for a sure grip and a quick release lever for added convenience. Features include a powder coated durable carbon steel bar, malleable steel jaws with 2-1/2 inch throat depth, and a comfort grip handle for less user fatigue. Shipping size and cost are estimated. If you need the clamp shipped, please contact me for details.